• Flavor as desired but it mixes well and tastes great in just water. This oat powder is like an oatmeal that has been groud into a powder. It has all the health benefits of oatmeal but in much easier to use powder. This oat powder can also be used as a replacement to wheat flour. A person could almost live on this product alone. It has a very low glycemic load and glycemic index and is one of the best overall foods available. Having it available in a powder form that mixes well should be a staple for anyone that is serious about their health. 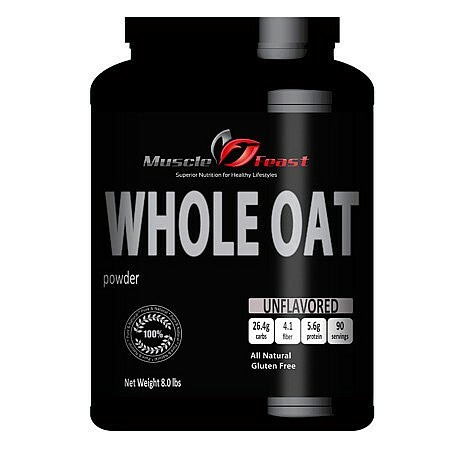 No Artificial Sweeteners and Virtually Lactose Free: This is the purest whole oat powder available. This product contains no artificial sweeteners or flavors of any kind. The Oat Powder we use is a product of Canada and is made by a company called Vitera.